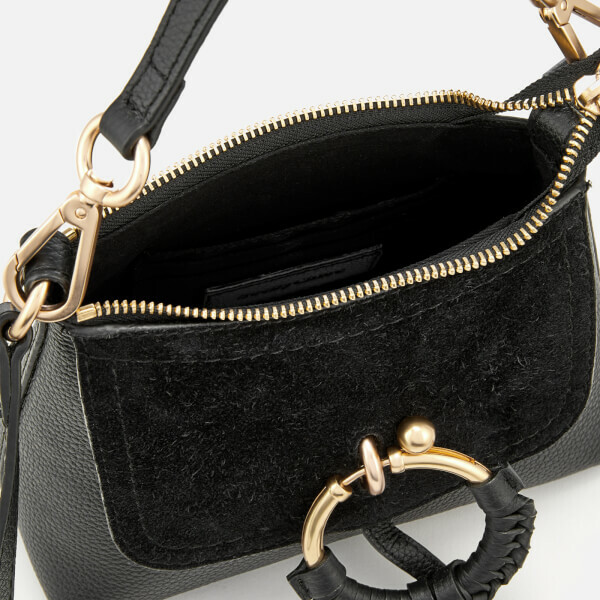 Mini leather shoulder bag from See By Chloé. 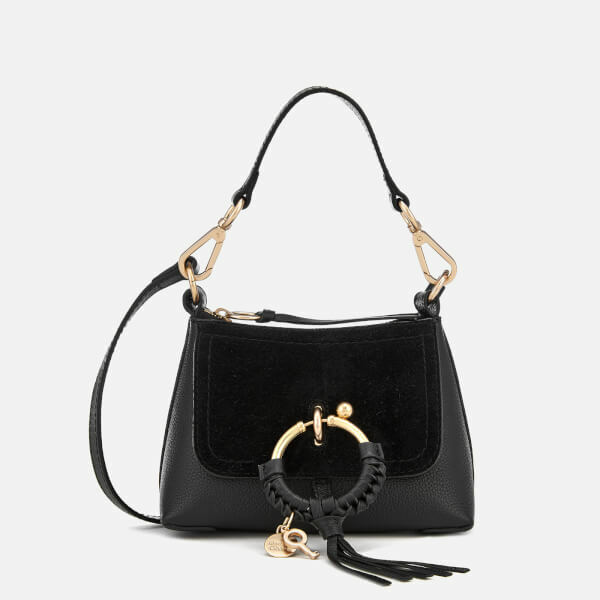 Made from supple cow leather with smooth suede panelling, the black bag features the brand's signature whipstitched ring detail with tassel embellishment, and iconic gold tone hardware throughout. Opens with a top zip fastening to reveal a compact interior with card slots for safe storage. 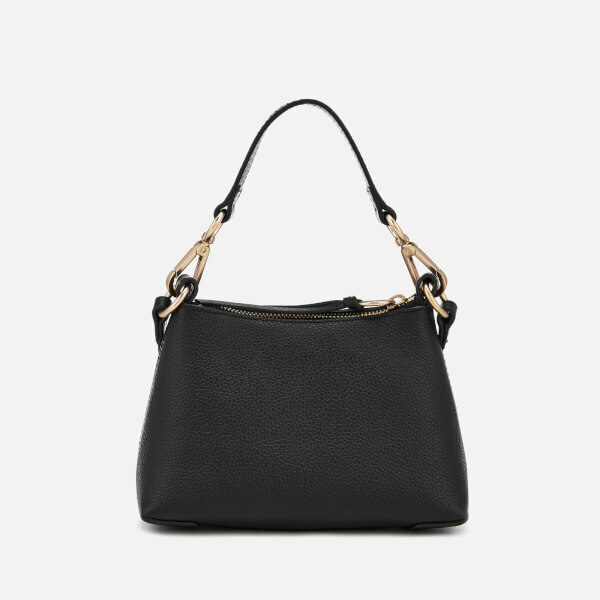 The timeless design is finished with a leather grab handle and shoulder strap for versatile carrying.